It’s a challenge, and like any challenge when you conquer it there’s a real sense of achievement. Even if you begin with learning to play a few notes cleanly and in rhythm, the feeling of satisfaction you’ll have in overcoming your challenge is genuine, and it’s a feeling that can be repeated as many times as you wish. It can be therapeutic. Please believe us when we say that concentrating on your newly-found hobby will soon empty your head of anything else. Problems at work? They will disappear. Issues in the family? They will take a back seat. Small aches and pains? Even most of these can seem to vanish when your fingers are producing even the simplest of melodies from your guitar. It brings a sense of peace (well, most of the time anyway!). 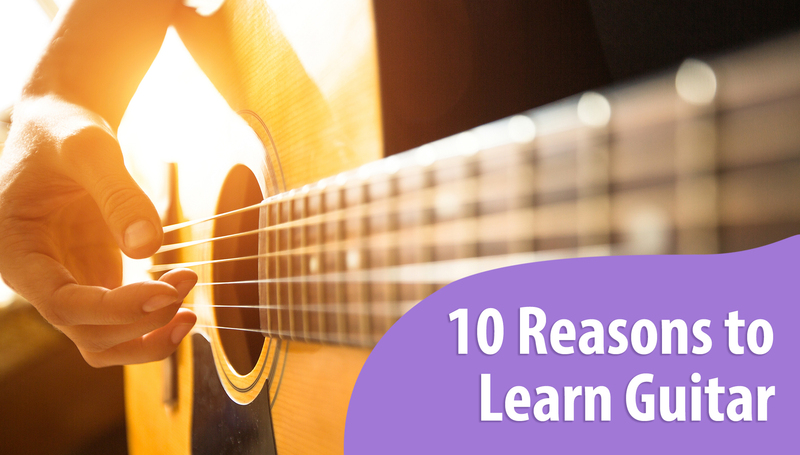 Our adult students often tell us about the calming and soothing feeling that playing the guitar brings them — “like a relaxing cup of tea after a stressful day”! You will make new friendships. There’s so many ways in which you will connect with other people — your teacher, fellow learners, the guy who fixes your broken strings, the helpful lady in your local music store. People with a passion for the guitar are usually willing to share their thoughts and ideas with you. You could even start a band for your own fun and enjoyment! It’s a journey of self-discovery. You will learn things about yourself, find out that you CAN develop new techniques, your concentration will improve, and your determination will carry you through! Even those who thought their hands, fingers and brain would never cope with playing the right notes in the right way at the right time will be pleasantly surprised at what they will achieve. You can share your talents. Give something to friends and family — the gift of YOUR music, played by you, especially for them. Even if it’s the most simple of tunes, it’s a gift worth giving, and one that will be appreciated… after plenty of practice beforehand, of course! It can be more healthy! If you ignored the need to keep your body as flexible as possible before taking up the guitar, you’ll soon learn that it’s a good idea. You’ll become more aware of your posture, even simple things like regular stretching and sitting/standing correctly. Doing so will make your playing easier. Your appreciation of music will increase. Seeing, listening, thinking about how the notes fit together — you’ll be surprised at how much you’ll enjoy the journey. You’ll find yourself listening to other styles of music, thinking “Hmm, maybe I could play that one day”. And you can, if you try! It’s a good excuse to be self-indulgent. Whatever your fancy, whatever your special treat to yourself, whether it be chocolate, your favourite drink, a trip to the movies — set yourself a task on the guitar, do it, then REWARD YOURSELF. The complexity of the task (and the reward you give yourself) is up to you — from playing just a few notes sweetly or maybe learning a whole new piece of music. Do it, savour the moment, accept the reward. After all, you deserve it! It sure was nice when you said that you can share your talents with your friends and family when you learn to play the guitar. My husband and I can see how interested our son is in music. We saw him watching a video of a person who’s playing the guitar skillfully. 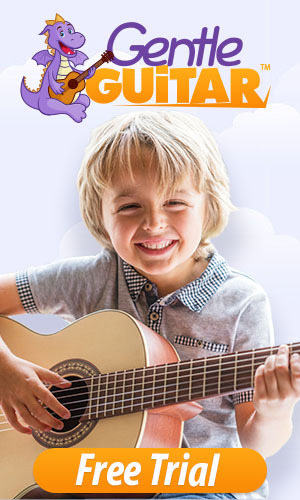 Since we want our relatives to know how talented our son is, we’ll make sure to buy him a guitar.